A fine day in september as we are biking into this fine valley in direction of the lodge Glitterheim in the National Park. The peak in the back is Glittertind - the second highest mountain in Norway. 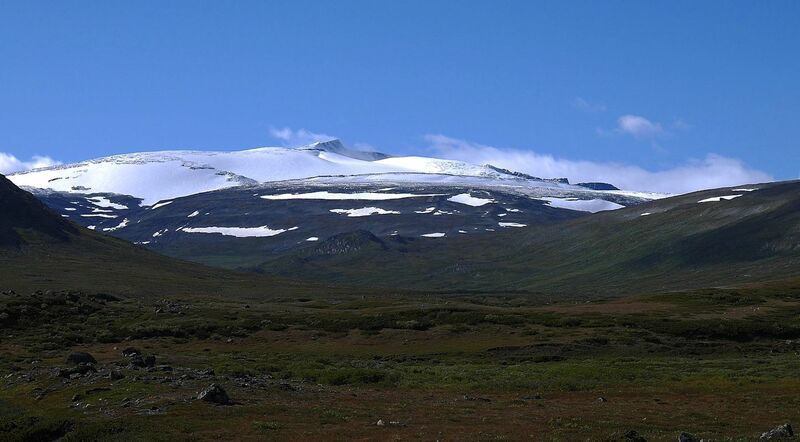 Glittertind is the second highest mountain in Norway, at 2,465 m above sea level, including the glacier at its peak. 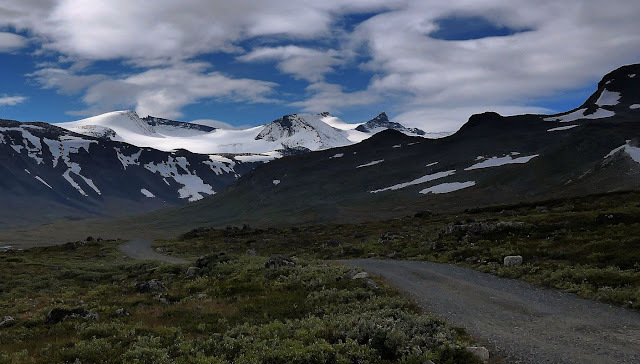 It is located within the municipality of Lom, in the Jotunheimen mountain area.